Lohar, Carpenter, Goldsmith, Tamrakar, Murtikar, Jangid, Panchal and other Vishwakarma in Kerala. About Yourself: I am a Naturopathy and Yoga Consultant. Working for a project "Prevention is Better than Cure". Also doing Viswakarmma community development works. Start a FB page "NAMMAL VISWAKARMMAJER" for motivating our people. Writing books about Health. Doing documentaries and short films about various subjects. Conducting health and motivation classes for students. Trying for establish a "VISWAKARMMA VILLAGE" in 100 Acres of Land. 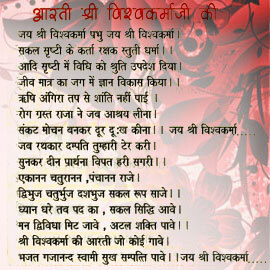 About Yourself: Dear vishwakarma brother. I am from keral .we have a organisation which regarding to develop and welfarism for vishwakarma community of all entire the country. So if anyone wants join with us please contact me Jai vishwakarma. Present Address: Kasaragod (district) Kerala (state) 675 552. About Yourself: I am from kerala. I am also lyricist and music director in malayalam album field.now working as a chief editor in VISWADEVAN MAGAZINE.this magazine only for viswakarma communitty in malayalam language of kerala.going very well through out 10 states in malayali viswakarma people.i wish meet all viswakarma around one desk.thank you. About Yourself: I am satheesan achary,working in rajasthan,alwar(Distt) as an elect. supervisor. Am interested in community club to interact viswakarma members. I including my wife and a son.Am happy with my family.We are carpenters (VISWAKARMA) from kerala.Am a straight forward person and keen on approaching everything. About Yourself: I am post graduate. now I am trying for bank Probotionery officers examinations. About Yourself: Simple and willing to serve our community. About Yourself: I'm Keralite, Ex IAF presently working in Southern Railway as a Junior Engineer. Occupation: Insurance Advisor, The Oriental Insurance Co. Ltd.
About Yourself: I am a Keralite Viswakarma (Black smith) Person. About Yourself: I am very poud to be a Viswakarma. Jai Virat Viswakarma Parabrahmam. About Yourself: I am a student having vision to contribute my skills and ability to the community and society as well. I am honest and generous to the poor people of india and also I have to work for the upliftment and unity among Viswabhramins. Present Address: Kunnel(H, Anikad P.O, Mallappally (west) Pin-689585 Pathanamthitta Kerala. Occupation: Data Operator, GP Level.